In early 2015, Kurt was appointed CEO of Troovo, a newly launched technology company focused on driving greater efficiency and automation of transaction-based industries. Troovo’s approach to automation is flexible, nimble and collaborative, helping to increase customer profitability through lower operational costs. Based out of Australia, Troovo is working with companies around the world to help streamline transactional processing, optimise travel operations and integrate multiple data streams for maximum business productivity. In January 2014, Kurt assumed the role of President of the Association of Corporate Travel Executives (ACTE). ACTE is the leading industry body for advocacy, research and education for the global corporate travel industry. As President, Kurt is the senior volunteer leader of ACTE and serves at the order of the Board and the membership. The President is the Chair of both the Board of Directors and the Executive Committee. The President also has general supervision of all business and affairs of the Association and gives direction and inertia to the formulation and achievement of the Associations philosophy, mission, strategy and goals, and also serves as primary spokesperson. Kurt’s term runs through the end of 2016. Prior to Troovo, Kurt was with global mining giant Rio Tinto as the Global Category Leader for Travel and Expense Management. In this role based in Singapore, Kurt led Rio Tinto’s global Travel and Expense strategy with key suppliers focusing on improving the total Rio Tinto travel experience. He had global responsibility for travel management, strategic airline, hotel and car sourcing strategies, and driving best practice in corporate card and expense management processes and systems. Before joining Rio Tinto, Kurt was Principal of intelligent.travel consulting, a consultancy devoted to assisting corporations, technology companies, travel suppliers and agents, and travel management companies get the most out of their technology and product solutions, supplier engagements, social media and marketing plans, and strategic development efforts. Prior to his consultancy, Kurt was Vice President and Head of Advisory Services, Field Effectiveness, Marketing and Product Management, Asia Pacific, at American Express Business Travel in Sydney. In that role, Kurt drove a regionally-focused approach to these four core disciplines, to deliver optimum customer value and revenue growth to the business. Prior to joining American Express, Kurt held roles at Travelport Corporate Travel Solutions as Senior Director, International Markets, responsible for strategic development, marketing, partnership activity and relationship management, based out of the UK. 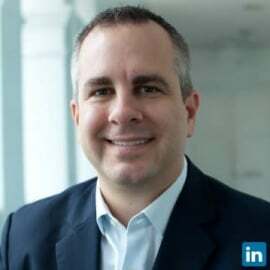 Prior to that he was Director of Product Management and Marketing, Asia Pacific for Travelport splitting his time between Sydney and Hong Kong. Kurt began his corporate travel industry career at Rosenbluth International in Philadelphia, USA, in product management, marketing and strategy roles, culminating in his appointment as Director, Global Marketing - Strategic Travel Services. Kurt holds a Bachelor of Science Degree from Indiana University, USA. Kurt is based in Sydney, Australia and is a dual citizen of the USA and Australia.